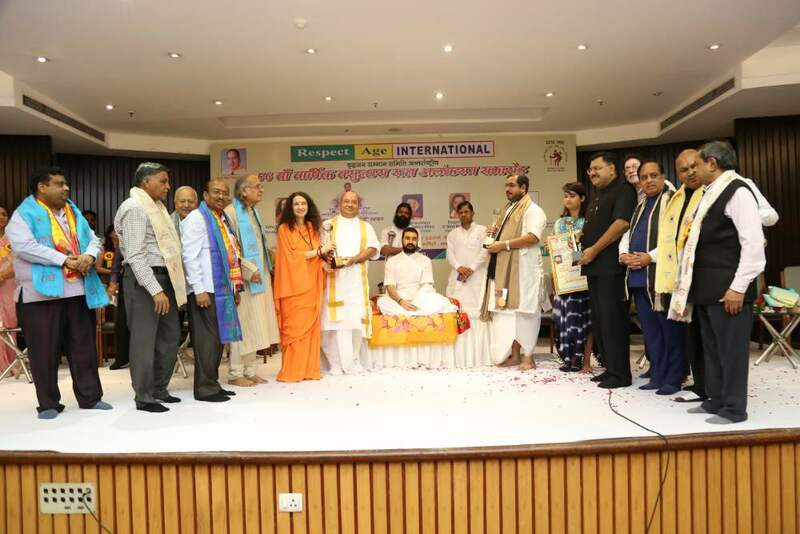 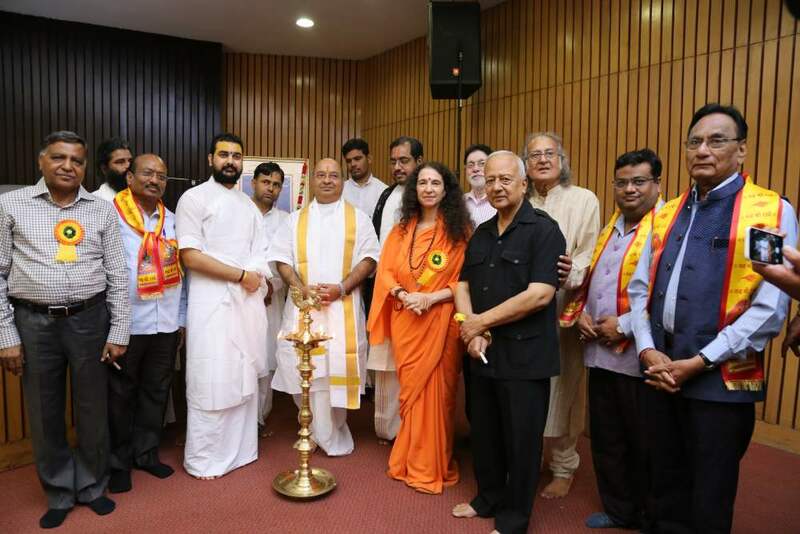 Sadhvi Bhagawatiji was awarded the Vasundhara Ratan International Award of Excellence at the 56th RAI International Awards at India International Center in New Delhi. 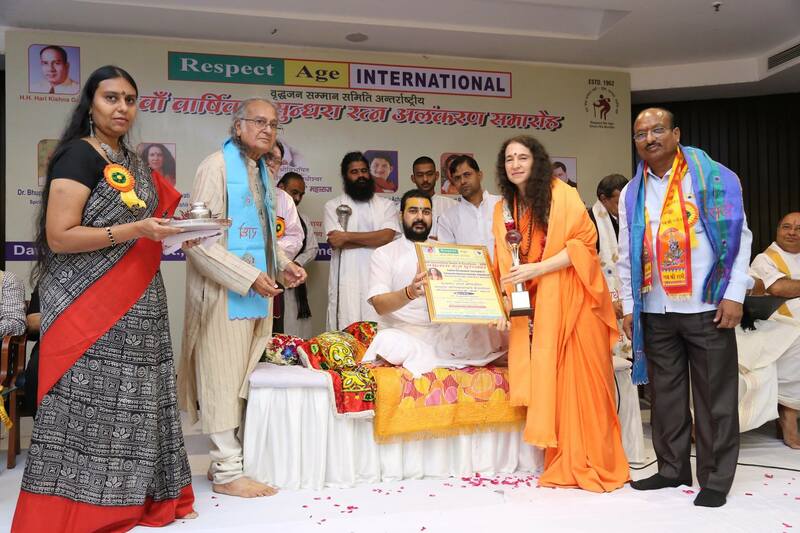 The award was given by Jagadguru Shree Nimbarkacharya Peethadheeshvar HH Shree Shyamsharan Devacharya Shreeji Maharaj. 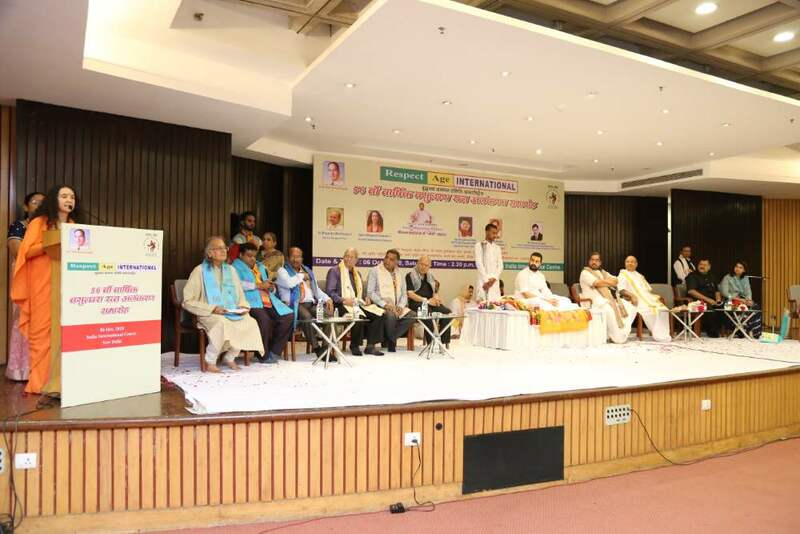 The event was graced by the presence of revered spiritual leaders, Dr. Bhupendrabhai Pandyaji, Dr. Manoj Mohan Shastriji , Dr. Yogendra Narain, former Secretary-General Rajya Sabha and Defense Secretary, Govt of India, HE Jagdishwar Goburdhan, High Commissioner of Mauritius, Shri Ghanshyam Guptaji, Chairman Maharaja Agrasen 500-bed Charitable Hospital, and several other dignitaries. 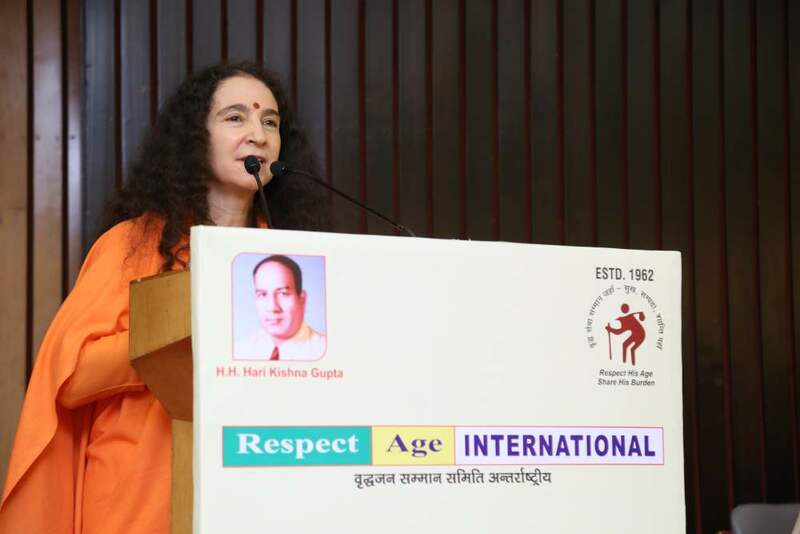 The event was organized by Respect Age International.